Looking for a local bail bondsman? When you need a bail bondsman, you don’t want any issues to get in your way. Whether it’s for you or a loved one, you want your bondsman to get the job done fast. A few tips can help the process go more smoothly. In this guide, we’ll show you the top tips you need to know before working with a local bail bondsman. Keep reading to learn more! In most criminal cases, the defendant is given the option to pay bail. This means that the court determines how much money the defendant needs to pay to get out of jail until they have court. Sometimes, the court sets the bail amount above what the defendant can realistically afford. In these cases, the defendant often hires a bail bondsman to help. A bail bondsman covers most of the bail amount, in exchange for helping make sure the defendant shows up in court. Before you hire a local bail bondsman, it helps to know the kinds of bail bonds that you might be working with. There are three main kinds of bail bonds. The first is cash bonds, which involves money orders or cash. The second is property bonds. Property bonds use property value or the property itself as the collateral for bail. Third, there are surety bonds, which are similar to loans. In this type of bond, a bail bondsman pays the court the full amount of the bail. Then, the defendant pays the bail bondsman a percentage of the total amount and gives them their agreement to appear on their court date. Now, let’s get into some helpful tips you should always use when working with a local bail bondsman. You can find out the total bail amount at the jail. The judge on the case will determine the bail based on how severe the crime was and whether or not the defendant could be a flight risk. With extremely severe crimes, bail isn’t given at all, but most crimes aren’t considered this severe. For frequently committed crimes, a pre-set bail schedule is used to determine the amount owed. The sooner you find out how much bail you owe, the sooner you can decide the next steps you need to take. In some cases, the defendant can even ask the judge for a lower bail amount. A lawyer can help you with this. In each state, the laws determining the fee a bail bondsman can take are different. Most of the time, the fee is about 10 percent. However, commercial bail bondsmen are illegal in some states. Other states prohibit surety bail bonds, including Wisconsin, Maine, Oregon, Nebraska, Kentucky, and Illinois. If you have questions about bail bondsman fees, ask the court clerk for help. Next, it’s time to find the right bail bondsman to work with. You can search using the phonebook or an online search. You might also find numbers for bail bondsmen at the courthouse. You should also consider using a bondsman referred by your attorney. Bail bondsmen who work with defense attorneys are likely to do top-quality work. You’ll also often save money with a reduced fee for the bondsman – for example, you might be able to pay 8 percent instead of 10. It’s always a good idea to hire a criminal defense attorney before your trial, so you might as well hire them before choosing your local bail bondsman. That way, you’ll know that the bondsman you work with has a good reputation since an attorney is willing to vouch for them. If you’re still not sure which bail bondsman to go with, talk to a detention officer or have your lawyer do it for you. These officers work with a lot of different bail companies, and usually, know which ones are best to work with. These officers can also help by recommending lowered bail amounts and giving useful advice for court. Make friends with detention officers and you will be rewarded for your efforts with access to their valuable information. On your search, you’re likely to find some bond companies that offer cheaper fees than others. It’s tempting to think these cheaper fees will be best, but that’s often not the case. You get what you pay for with bail bondsman, as with anything else. If you see a company offering fees of 5 percent or even less, they likely aren’t experienced or reputable, which is why they have to offer such low fees to get business. They might even be operating illegally or using false advertising to get clients. Instead, look for bondsmen or companies that have fees well within the normal range for your state – they are much more likely to be legitimate. While looking for the best bail bondsman, you might think about working with an agency. If you do, the company will handle everything you need about your case while keeping your information private. Agencies can save you a lot of time and stress in the process and tend to have more time to devote to your case since they have more people on staff. No matter what, you should always read the online reviews about a local bail bondsman before you hire them. Online reviews are heavily trusted by modern consumers, for good reason. While some bad reviews are to be expected, look for a bondsman whose reviews are mostly positive. Do You Need a Local Bail Bondsman? When you need a bail bondsman, you want the best of the best. If you’re in the Hollywood area, we can help with your bail needs. Contact us to learn how. 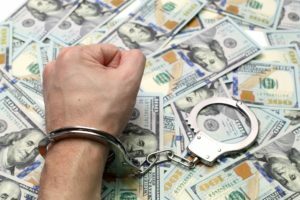 With a median bail in the state of California hitting $50,000, the number of people who have access to posting that much money in minuscule. Having a bail bond agent who can post the bail in exchange for 10% helps to keep the accused from having their lives disrupted while they away trial. This is just one of the many benefits of using a bond agent. While the cash bail system has come under scrutiny in the last years, there’s no foreseeable end in sight. People who are unable to post bail can lose their jobs, be kicked out of school, or end up losing their homes. If you can put up bail while you or a loved one is awaiting a hearing, you’ll be able to keep your life together. If you’re still weighing out the options of whether or not to use a bail bond agent, here are just a few of the overwhelming benefits of using one. Most people have never been through the process of being arrested, awaiting a hearing, and dealing with the criminal justice system. Many people are overwhelmed by the process and don’t understand how bail bonds work. Hiring someone who knows what they’re doing can save frustration, complications, and the emotional hardships that result. When you hire a bail bond agent, you get someone who knows your rights and the limitations of the law. They can explain how bonds work and what to expect. 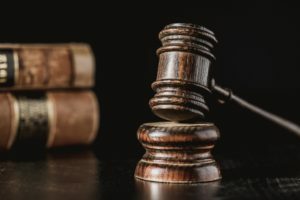 They’ll be able to lay out how the legal process will play out from your perspective, what you can do to optimize it, and what you need to have.Protecting your family, your assets, and knowing your rights is important to the bail bonds agent. If you were going it alone, you or your loved one could end up in jail for much longer than necessary awaiting trial. Bail bond companies have experience and contacts in the legal system. They know who to call to help speed things up. Often bail bond companies will have built a relationship with the courts over several years. Because they know the bail bond company only takes on the most reputable clients, you’ll have someone vouching for you. These relationships and agreements take years to build but you can take advantage of them because of your one incident. If your bail bond company is expert enough and if the crime you or your loved one was accused of is minor, you could get out in under 24 hours. This can avoid lapses in employment that could damage the character of the accused in the eyes of the court. It could also hurt the accused’s ability to pay for basic needs. Unless you’ve got a degree in criminal justice, a lot of the paperwork necessary for filing for your bail bond could be difficult and confusing. Your bail bond agent will be deeply familiar with the paperwork and be comfortable navigating this process on your behalf. Minor errors in filing this paperwork could result in a delay in the hearing, rescheduled proceedings, and an even longer jail stay. While you might have anticipated having your loved one out in just a day, mistakes on forms could drag the process out. The staff at a bail bond company brings professionalism and experience to every matter, even just a simple form. They’ve spent so many hours filling out those forms, they could probably do them in their sleep. By having someone to make sure everything is accurate and thorough, you’ll speed up the process and save a lot of turmoil. When people have the money to pay for bail, often courts will raise an eyebrow. You or your family could end up being scrutinized or requiring proof that the money you brought in was lawfully earned. This can be problematic for a lot of reasons, even when the money was earned from your own job. You could find the judge demanding bank statement, pay stubs, and tax documents to prove that you’ve got the assets reflecting bail. This is a deep invasion of privacy that a bail bond agent would never engage in. On top of that, you might not have the time or energy to get all of this ridiculous paperwork together in the heat of a crisis. Because bail bond companies are experienced in working with the courts, their money won’t be scrutinized at all. Bail is a way for courts to confirm that the accused will show up in court when their trial comes up. They return the money following the court appearance but not before. Paying an average of $50,000 is next to impossible for most families. Not having access to that money for several months is borderline unreasonable. This whole process could take several months. If you’ve got hundreds of thousands just lying around, then you might not have a problem. But for most people, this is nothing approaching a reality. A bail bond agent can help you skip the long wait. If the proceedings end up being more complex than planned and get drawn out, that money just ends up sitting there. If you’ve only paid an affordable fee through a bail bonds agent, you’ve got much less to be concerned about. Your bail bonds agent is essential to guaranteeing a speedy legal process. They can ensure that your life goes back to normal as soon as possible. Thanks to bail bonds, you or your loved one can see freedom quickly. If you’re looking for an agent to serve you some bail bonds, contact us today to find a perfect fit for your situation.